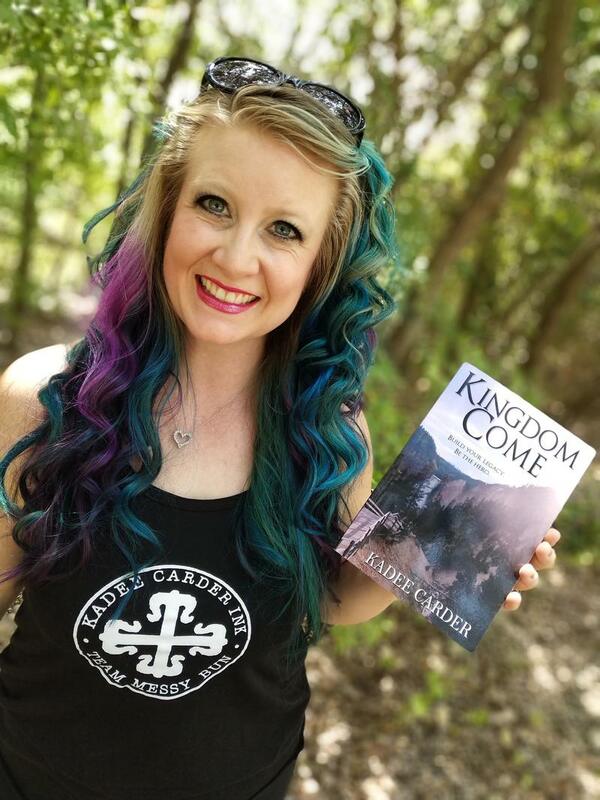 INSURRECTION, INCOMPLETE, INDELIBLE, HERE BE DRAGONS, and non-fiction inspirational KINGDOM COME and IGNITE roll out perilous motives, twisty plots, and daring protagonists. Grab some real estate and your copy of my latest adventure, and follow along on social media. The ultimate goal for all of my writing is to refresh spirits, point people toward a loving God, and show readers a life thriving. May my books and blogs bring a swift breeze on a stale day, a glow of rejuvenation for your plotline, and a sturdy clap on the back to encourage you on your way. Keep on reading to see more about this crazy little ol' life. Who Is This Kadee Carder? I am teachable. I like to learn new things. I am constantly searching for favorites. I am willing to try new things. Some call it brave, maybe it’s courageous, but I think it just keeps life interesting. I use the words “Just,” and “So,” way too often, but everyone has their flaws and I’m sticking with those. Could be worse. I love Taylor Swift’s lips and music. I also love late 90’s punk rock. I like to dance, and sing, and act. Some of those I do in front of people. But I’m white, and was raised a southern Baptist, so guess which one goes on behind closed doors or the steering wheel. Coffee fills my home, Tervis cup, and tummy. Because. The coffee. I like food smells in my scentsy. Yay for French Toast, amiright. I support local businesses and consider independent consultants some of the most fabulous people. I have gained so much knowledge about independence, resilience, ethics, perseverance, and the delicious importance of daily habits. I work toward having those things in my life that are useful and beautiful. I seek joy, and beauty. I seek a higher calling. I share good news. I search for answers and for the best phrasing. I love just the right word. I giggle at even lame grammar jokes. I teach writing. I help edit, if I like you and you offer chocolate as payment. Inspiration. Perspiration. Intrigue. Those words drive me. Moxie. Jaunty. Two favorite words. And the biggest strengths I own have to do with sticking to it, holding on when the going gets tough. Sometimes I hang on too long. But that’s another story for another time. And also, enthusiasm. I’ll laugh about most things, particularly when I have no idea what you just said. One time at cheerleading camp, around ten pm, after a day of hard drills, we practiced “one last time” and I gave it my all. The instructor asked, “What did you put in your lemonade? !” and I laughed. That’s me. I might blame the coffee. But I’ll be your cheerleader. Take a chance on me." Read, like, share, pass it along, hang on, and subscribe. Big things are happening. I’ve love to have you around for the ride.